Disney's latest offering Christopher Robin won't be getting a release in China. Disney is easily the biggest studio in the world right now, but some of their movies have struggled a bit in China over the years. Still, they're the second-largest market for movies these days and that makes it important when it comes to profitability. While no reason has been provided, Disney will have to hope that the rest of the world turns up to see this new live-action Winnie the Pooh adventure. While no exact reason has been provided, there are a couple of things that could be getting in the way here. The first being that China has a restriction on the number of American movies it will actually show in a given year. There are a few key blockbusters opening up in the country very soon, such as Skyscraper and Marvel's Ant-Man and the Wasp, also a Disney movie. Mission: Impossible - Fallout is also set to be making its debut there soon. The cluster of blockbuster releases could easily be getting in the way of the PG, family-friendly flick making its way to Chinese theaters. There is, however, another probable explanation which is more politically motivated than you might expect. Authorities in the country have been blocking pictures of Winnie the Pooh on social media as of late and the character is pretty much contraband at this point. 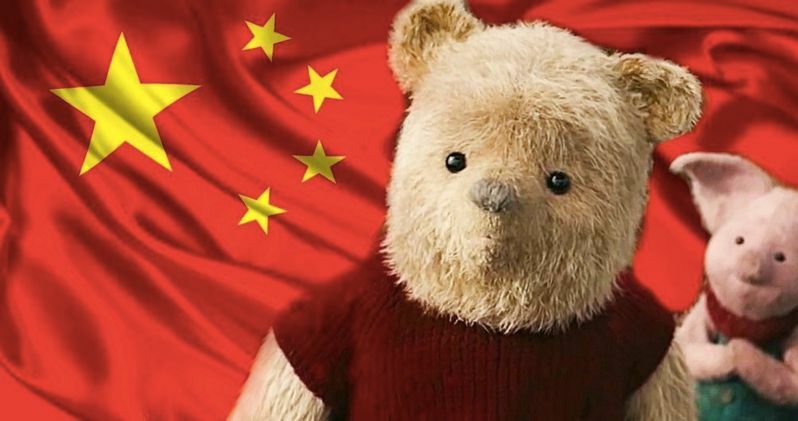 Crazy as it may seem, Pooh bear has become a symbol of communist resistance in China. Residents of the country have taken to saying that Chinese leader Xi Jinping has a similar likeness to the pudgy, honey-eating bear. The country's censors have been hard at work blocking any images of Pooh as a result. The only other Disney movie to not get a release in China this year was A Wrinkle in Time, which is one of the studio's rare misfires. Though, that movie had a massive production budget and was met with poor reviews upon arrival. The Chinese box office wouldn't have been enough to save the situation. Christopher Robin will probably be just fine either way. The movie is looking at a solid opening weekend of $30 million or more domestically and has been getting favorable reviews from critics along with excellent audience reactions. The movie was directed by Marc Forster, with Ewan McGregor and Hayley Atwell toplining the cast. This news comes to us courtesy of The Hollywood Reporter.